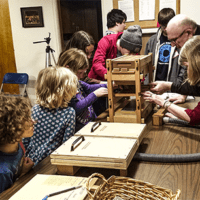 The people of St. Bede’s, Forest Grove came together to discover the amazing intricacies of a tracker pipe organ by building one themselves. 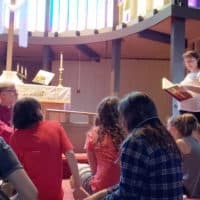 Reflections from teenagers who came to St. Thomas, Eugene for the Spring Youth Event, the inaugural gathering sponsored by the Diocesan Youth Commission. From the Rev. Brent Was: I’ve been thinking a lot about our children’s ministry lately. What is going on there? Why is there so much growth? Why do those children look so happy? Join youth from throughout the diocese for small groups, games, volunteering in the Grass Roots Garden of Food for Lane County and Saturday dinner with Bishop Michael. Photos from the Episcopal Youth Event in Oklahoma City. Diocesan Youth Mission Trip (YMT) 2016 Applications Available Now! 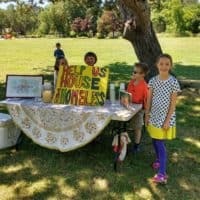 “To seek and serve Christ in all persons, loving our neighbors as ourselves”; to share in Christian community & service; and to explore another part of the Pacific Northwest.